A makeup haul comprised of product from Colourpop, an extremely popular (and affordable) beauty brand. For reviews and swatches of select products and shades, then read this article. I’ll be doing a haul on products from Colourpop that I had gotten from their most recent Flash sale. 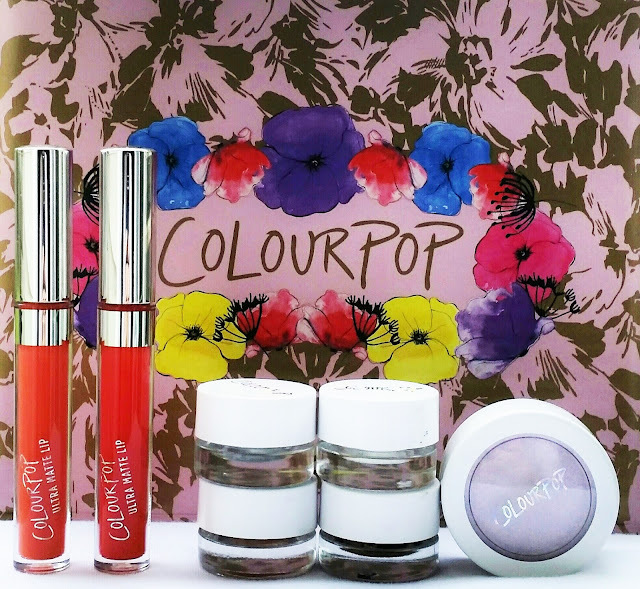 If you’re not familiar with Colourpop, it’s a very affordable and popular brand that you can only buy online at their website. Most of their products run from $5.00 USD to $8.00 USD with a wide range of colors to choose from. They also VERY RARELY have sales. In the time that I’ve shopped that brand (about a year now), they’ve only had one sale, so when people caught wind of the Flash sale, it got crazy. The site actually crashed because there was so much traffic. They had ended up extending the sale and later configured the site so you had to wait in a digital line. I had to wait about three hours before I could make my purchase. I already had some items from Colourpop in my collection, so I’m pretty familiar with their products. They’re my favorite affordable brand, in addition to NYX Cosmetics, so if you want to the see the rest of my Colourpop collection, let me know. The first two items I’ll be writing about are the Ultra Matte Lippies in shades Pacific and First Class, which are both orange shades. 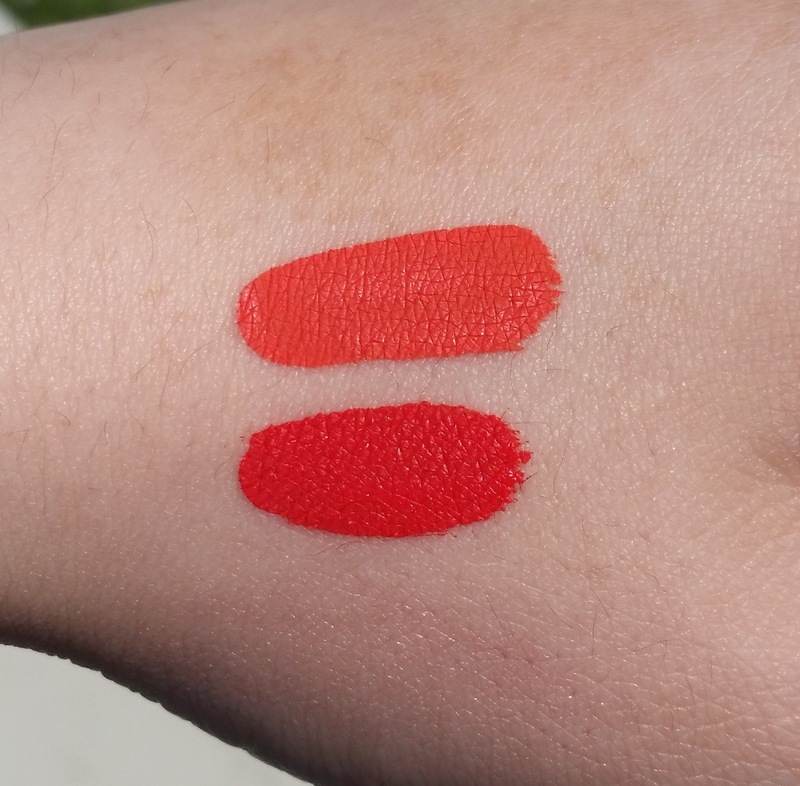 I personally think these two shades complement each other quite well, so I wear both shades with Pacific on my top lip and First Class on the bottom lip. I know orange is one of those shades that some find hard to pull off, but if you have a warmer complexion (having yellow to olive undertones), you can pull off orange no problem. Next, I have four of their crème gel liner pots. I’ve been on a metallic makeup kick for the past couple months, so I got three metallic liners: Over Board, Got Paid, and Kicker. And then I got a regular gel liner in shade Exit. The quality of these liners are great, very pigmented and they don’t budge once dry (which makes them difficult to remove). I would have gotten all of the metallic liners, but some of the gel pot shades were out of stock. I have the other metallic shades from a different brand, so I’m not in a rush to acquire the whole set. 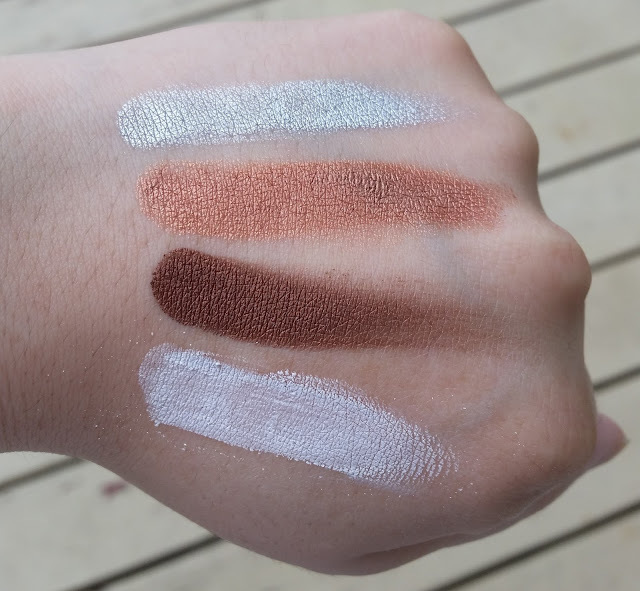 Swatches of the Crème Gel Liner in Kicker, Get Paid, Overboard and Exit in order of mention. Kicker is your typical silver liner. This is a shade I like to dress up with another liner and do dual-colored liner because I think silver is boring by itself. For light makeup days, I’ll just take a silver (or a glittery/metallic) liner and do a semi-thick half line on my outer lid for that pop of sparkle. Get Paid is a rose gold and is my favorite of the four. At first, I thought it was copper because it looks kind of orange on me (I’m fair-skinned), but I can clearly see it does look rose gold on darker complexions. It might be because I never used to wear metallic anything, and am now just getting familiar with the different metal shades. Overboard is a bronze shade. This is a color that I like to use for a base liner to do what I call mixed metal liner. It’s multi colored eyeliner but with metallic liners, or a combination of a matte and then a non-matte. I find bronze coordinates well with a lot of other colors while still being dark and having that shine. I like to think when you wear a non-matte liner, it’s like wearing an eye shadow and an eyeliner at the same time. When I’m going somewhere that’s hot or I’m going to get wet, I’ll just line my eye with this or do a big wing before I go. It has better staying power and it’s not going to crease or mix with other colors like an eye shadow would. Exit is your basic white shade. When I swatched it using my finger, it looked kind of patchy, but it applies opaquely (not sure that’s a word but work with me here) when you use a brush. 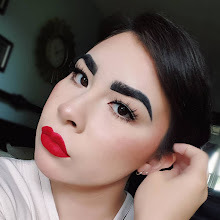 I’ve been meaning to get a white liner for awhile since I saw NikkieTutorials do her Extreme Cat Eyes & Chocolates Lips Glam Holiday Makeup Tutorial. It was a tutorial where she changed the shape of her eyes to give a very feline look by using white liner on the bottom lash line. There were other steps, but the white liner was the one I remembered most. If I ever succeed (emphasis on IF) at recreating that look, I’ll do a post about how I did it. Now, the last item is a highlighter, the Super Shock Cheek in Hippo, which is a light purple. 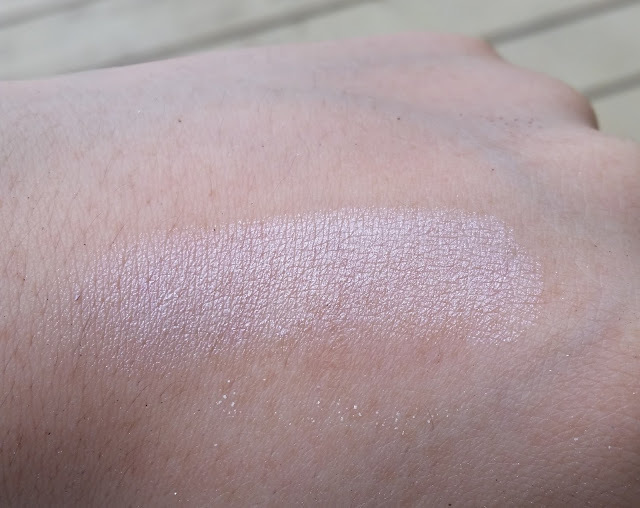 I love their highlighters because they’re very shimmery and they have this creamy texture that you can build. With these, you want to use a finger to apply because they are difficult to apply with a brush. The reason I got Hippo was because in color-correction, purple is used to brighten the face and therefore, I thought a purple highlighter would be super bright. However, Hippo looks like a blush-type color when it’s blended out. You might not see it in the picture provided because the shimmer is reflecting light, but it has quite a bit of pigment to it. That’s everything from my purchase, I can’t wait to wear the hell out of my new stuff for summer.